Restaurant marketing may not be as easy, due to the fact that there can be a lot of restaurants around that could be serving the same food as yours, competition is tight hence good and effective marketing strategy is necessary. The best thing to do is take advantage of what the technology can offer. Manage messages – make sure that emails and personal messages are managed well. Responses to inquiries should be done in a real time basis. 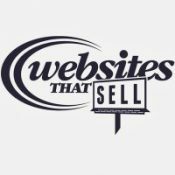 Websites That Sell is a web design company made up of a mixture of marketers, designers and developers. The company founded by David Krauter in 2013.